It’s never to early to begin learning about knife safety. At least that’s the idea behind this plastic knife kit. They’re easy for your child to assemble and light weight to boot. And with a variety of assembly possibilities and colors to choose from, a dull moment with these plastic knives is a rarity indeed. In addition to the valued experience your child will gain from learning how to properly handle a knife, these pieces are safe to use as well. 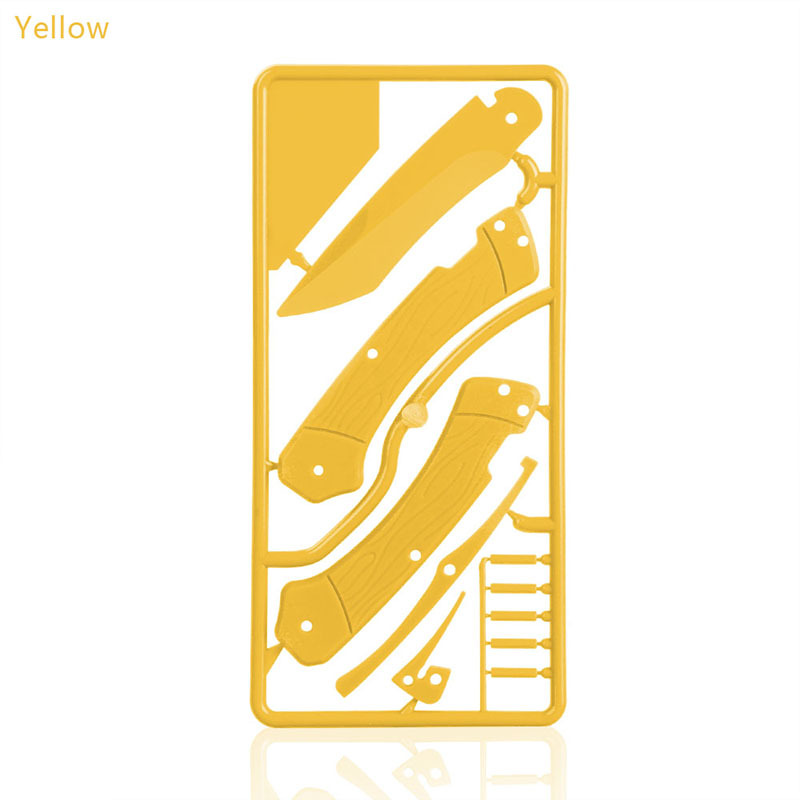 That’s because each kit is made from PVC plastic and features rounded edges, similar to a plastic butter knife. They’re also available in several themed colorways -including an All-American theme- or mix and match them to your favorite sports team. The possibilities are endless, knowledge gained will be priceless, and with a highly reasonable price tag, a no-nonsense gift this year for the little outdoorsman in training. The Trigger Knife Kit is a fun project for kids. They will enjoy the process of building a folding knife, and that's just the start. Mixing colors and customizing the look with paint, stickers and other kit colors is fun and rewarding. The Trigger Knife Set is simple to put together and includes step-by-step instructions. The parts are all plastic with dull, rounded edges for safety. Make sure to explain Nathan's Knife Safety Tips to make this a real learning experience.